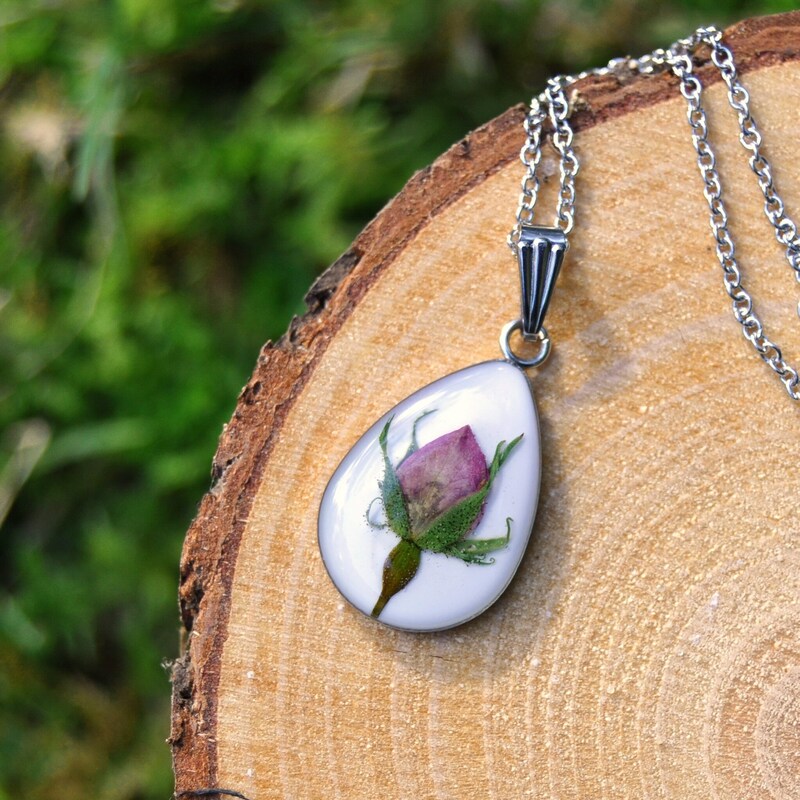 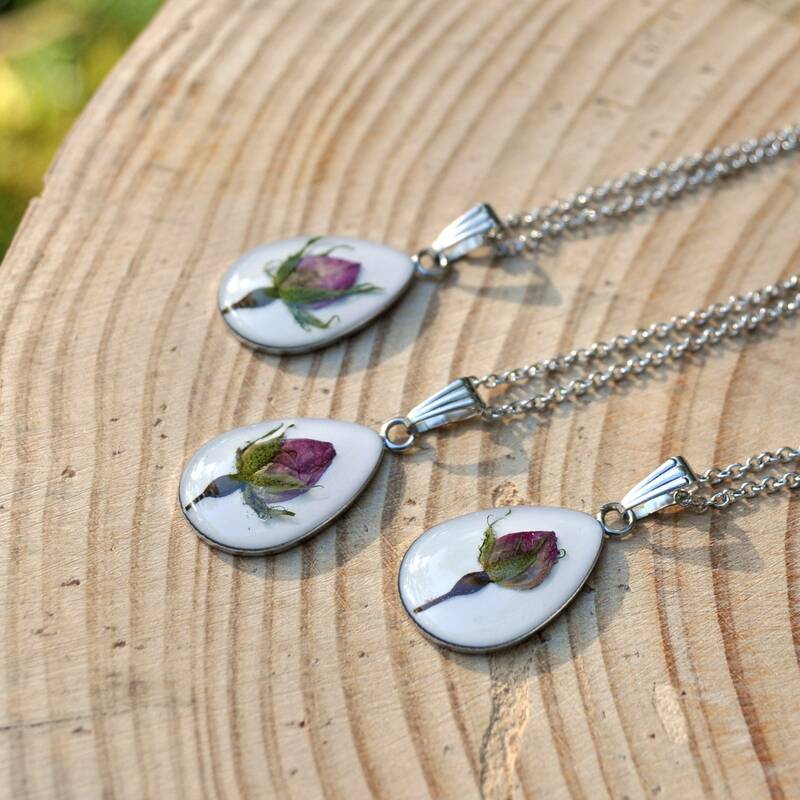 These sweet little rose necklaces have been made with real roses from my garden. 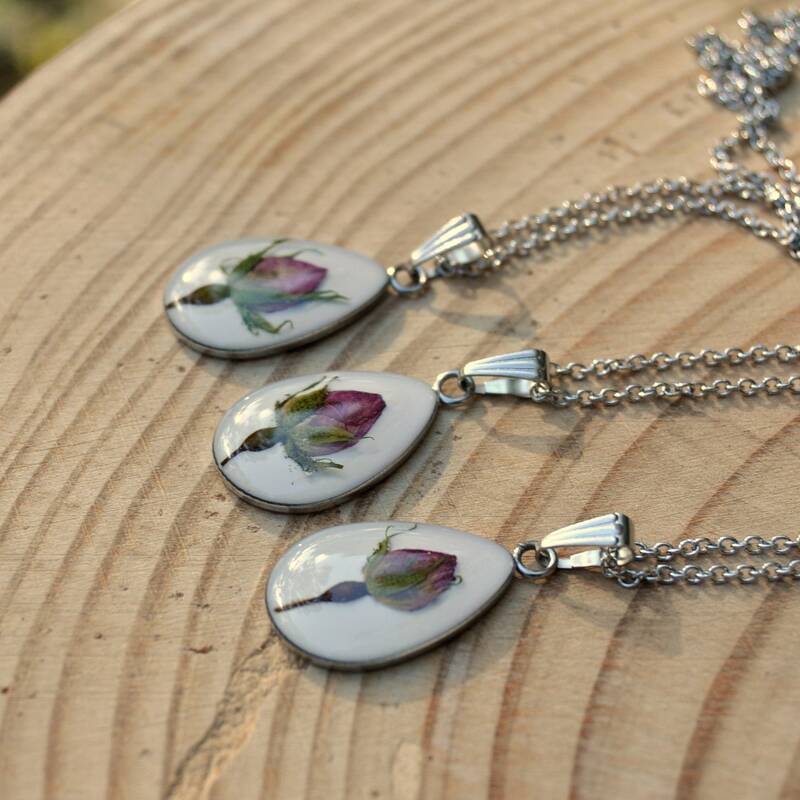 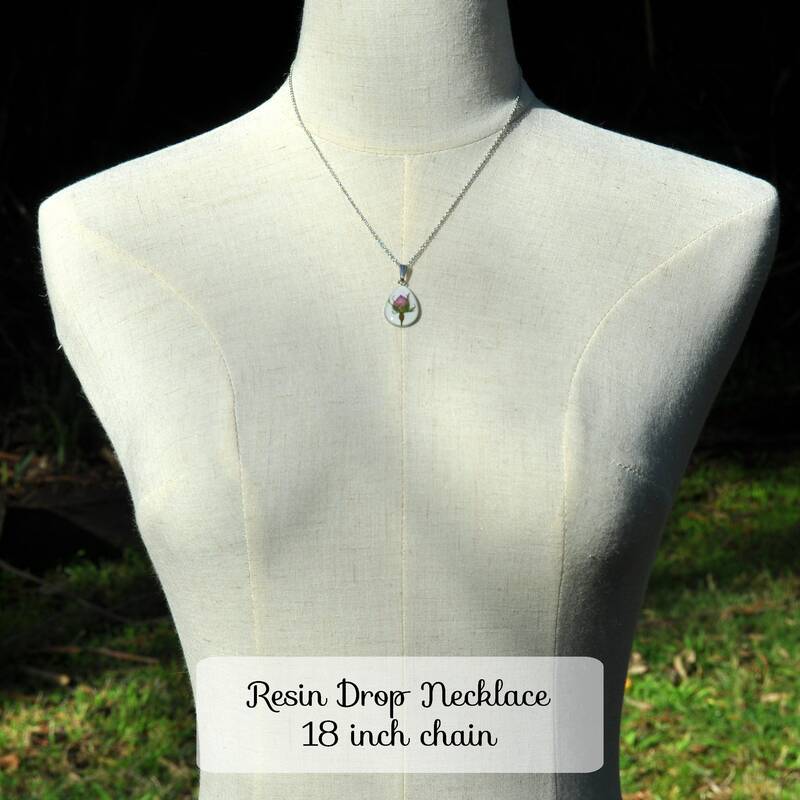 Each dainty drop necklace contains a single rose bud, captured in time as an enduring symbol of love, just like the enchanted rose from Beauty and the Beast. 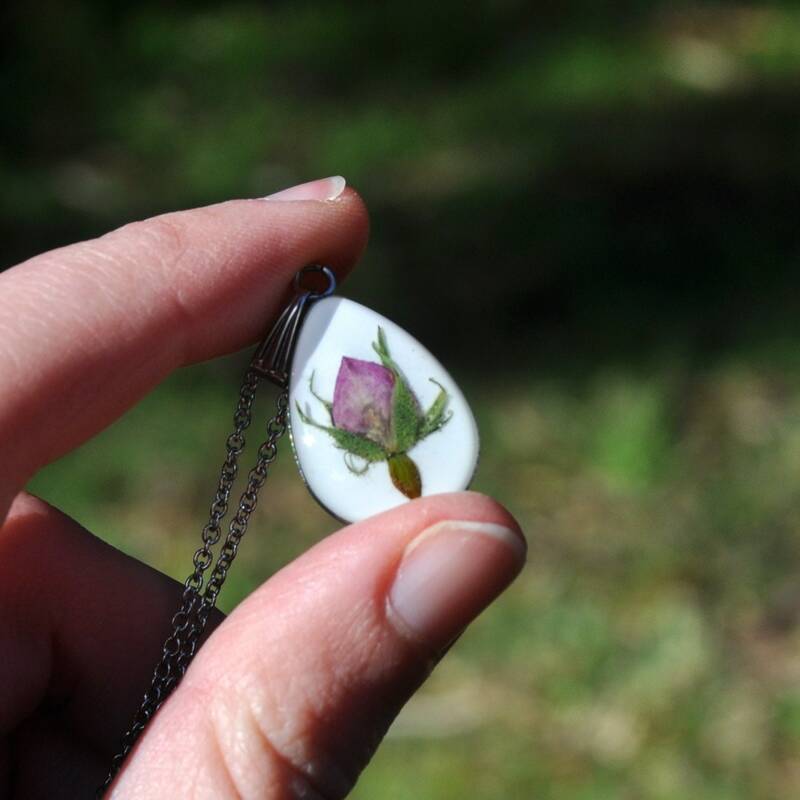 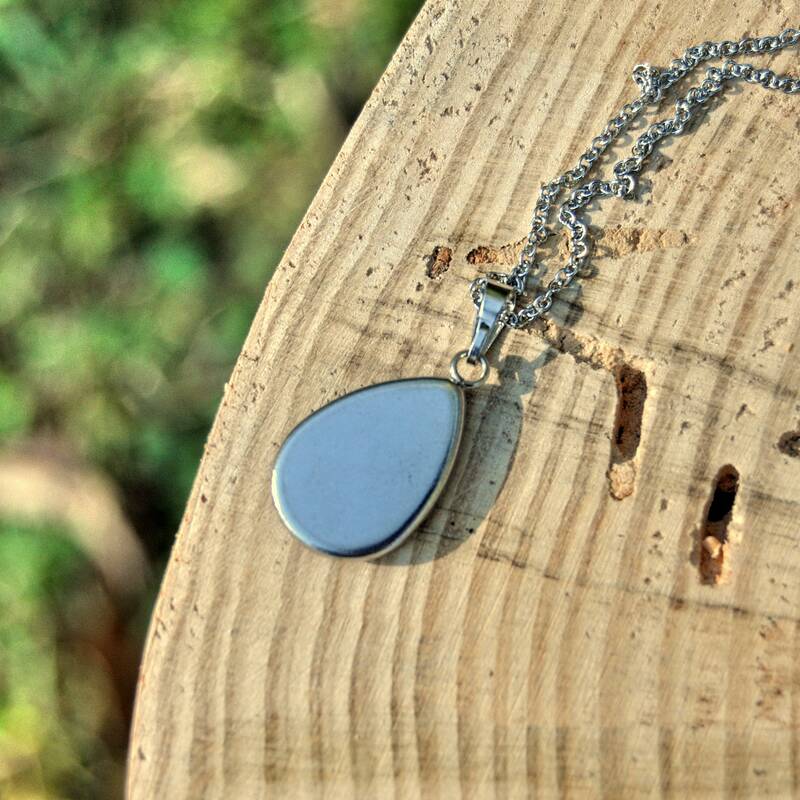 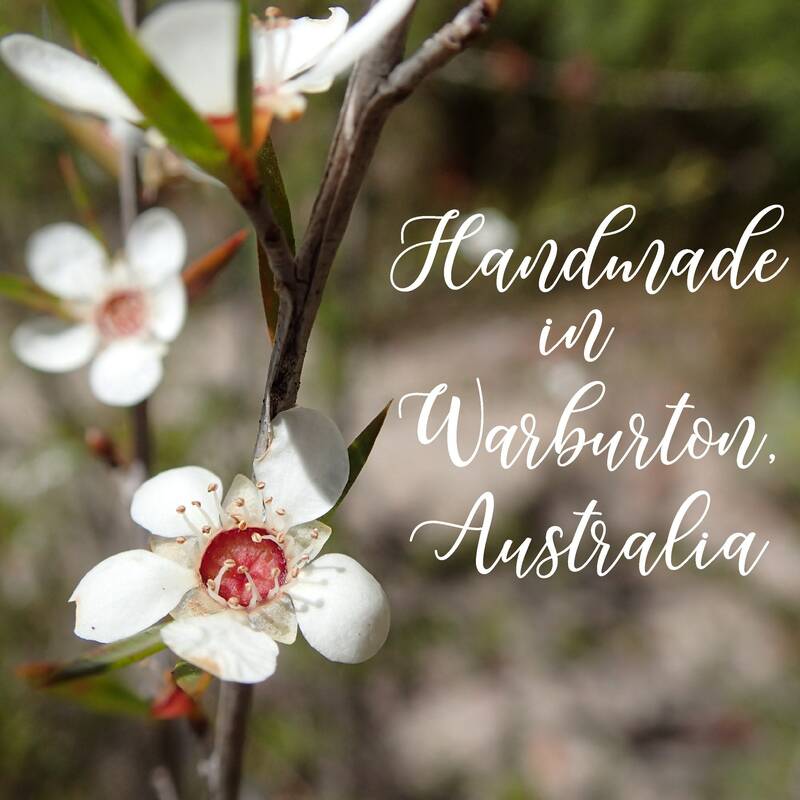 Set is a non-tarnishing stainless steel drop setting, the pressed rosebud is set against a white background and covered in a layer of clear resin, protecting the flower for years to come.